Polykarp Kusch worked at the Cleveland Public Library to earn his tuition to Case's School of Applied Science (now Case Western). He worked under Isidor Isaac Rabi, and conducted numerous molecular beam magnetic resonance experiments, including his landmark measurement of the magnetic moment of an electron. He designed the instruments he used in this endeavor, and famously said, "The pleasure of having apparatus of one's own design function perfectly down to the last screw hole is, I am certain, much greater than opening a crate. To design one's own apparatus is equivalent to asking questions in one's own way." In 1947 he and his team made the first direct measurement of the electron's magnetic moment, tracking and determining the the magnetic role each hydrogen atom's electron plays and correcting a very small but important inaccuracy in the predicted findings. His work had a profound impact on the development of quantum electrodynamics (QED), and earned Kusch the Nobel Prize for Physics in 1955. His Nobel honor was shared with Willis Lamb, who conducted complementary work independently. Though born in Germany, Kusch immigrated to America with his family when when he was still a toddler. 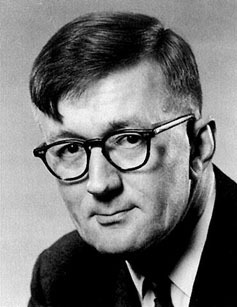 During World War II he conducted military-related research at Bell Labs, Westinghouse Electric, and at Columbia University, where he spent most of his career. His mother, Henrietta Van Der Haas, was a modestly successful author of juvenile novels. Kusch was regarded as an excellent teacher and a pioneer of laser science, and his students included laser developer Gordon Gould. He was active in the Democratic Party, spoke out against nuclear proliferation, and criticized the Catholic Church's edicts against any form of birth control. He had a fondness for technical puns, and his favorite bedtime reading material was his 26-volume Oxford English Dictionary.